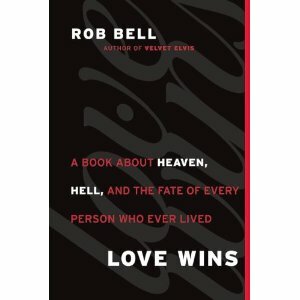 Rob Bell’s newest book, Love Wins: A Book About Heaven, Hell, And The Fate of Every Person Who Ever Lived sits at number three today in Amazon’s book sales list. Love Wins will no doubt hit the New York Times bestseller list this week. Bell obviously has churned up tremendous interest in the Christian doctrines of heaven and hell, but is that what Bell intended? If you read Bell’s book as doctrine you are missing the point Rob Bell is making. In short, Bell is taking on the evangelical establishment. 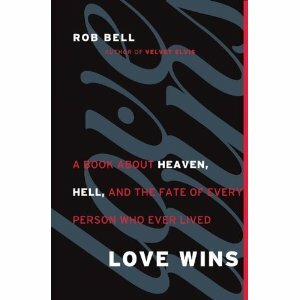 And while Bell asserts ultimately that Love Wins, it remains to be seen if Rob Bell will. Rob Bell’s new book, Love Wins: A Book About Heaven, Hell, and the Fate of Every Person Who Ever Lived is already generating tons of controversy. Harper One is sending me a pre-publication copy to review. I also hope to snag an interview with Rob about the book. The book hits the stores on March 29 and I hope to have a review up before that. Until then, watch this promotional video and tell me what you think? Is Bell just teasing us, is he a heretic as some are saying, or is this just good PR for the book? Let me know what you think. Bruce Feiler, author of the book, The Council of Dads: My Daughters, My Illness, and the Men Who Could Be Me, talks about his diagnosis with bone cancer, and of his plan to provide his two daughters with a ‘council of dads’ in case he’s not around for them in the future. This is a great story for Father’s Day or any day. Watch it. Do you ever get bored with ministry? Doing the same stuff, making the same hospital visits, and preaching a sermon or two each week can blur into a kind of sleepwalking routine. But, have you ever thought of boredom as the shadowside of competence? By that I mean, if you get bored with what you’re doing occasionally, it could be you’re good at doing it. Let me explain. We get bored with the routine, with things that come easy to us, with the lack of challenge or sense of accomplishment. The “impostor syndrome” is an extreme version of a self-consciousness about the things we’re good at. 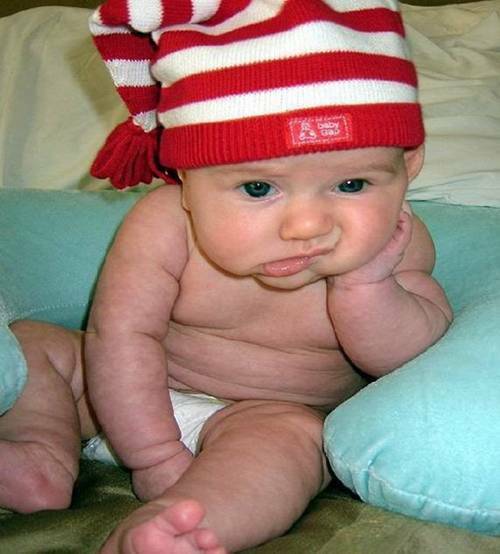 Boredom can be an indication that you’re competent, but no longer challenged by what you’re doing. Of course, I’m not referring to the kind of boredom that results from lying on the couch watching TV when you should be writing your sermon. Or the kind of boredom that results from sloth, laziness, depression, or other factors. No, I’m just talking about the everyday kind of hum-drum of doing the same things over and over, on a kind of auto-pilot because you could do them in your sleep. So, take hope. If you’re bored in ministry, that may not be a bad thing. But, you don’t want to stay bored either. If the routine has gotten too routine, challenge yourself. Take a course, write a book, rearrange your weekly schedule, meet some new people, and look at things differently. Pastoring is as much about faithfulness as it is about vision, achievement and goals. But, that doesn’t mean it needs to be boring. Of course, boredom can lead to what psychologists call “acting out.” I remember a pastor in Nashville who was caught breaking into cars at the local health club. Or church leaders who act out sexually, or financially. Sometimes we try to cure boredom with an adrenaline rush just to help us feel we’re alive. If you want an adrenaline rush, take up sky diving, but don’t shoot yourself in the foot by doing something stupid. Can ministry be boring? Absolutely. But when you find yourself going through the motions like a religious robot, do a quick self-intervention and remember: If you’re bored, you’re probably good at what you do. Are We Called To Be Technicians or Transformers? I’m giving this devotional for our DMin seminar on Thursday morning, March 4, 2010 at Fuller Seminary. In Matthew 14:13-21, we have the story of Jesus feeding the 5,000. This is an interesting story for several reasons, but I want us to focus on the disciples response to Jesus. And, I want us to think about how we do ministry in light of this story. Of course, the story goes that Jesus had just heard that John the Baptist had been killed. He attempted to withdraw to a “solitary place” but the crowds followed him. The Bible says he had compassion on them, and healed their sick. 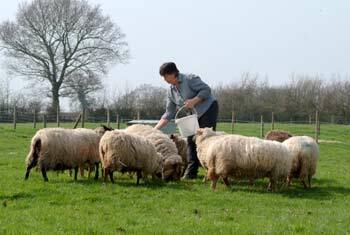 And, secondly, he said, “You give them something to eat.” In other words, you feed them. You know the story from that point on: Jesus has the crowd seated, he blesses the bread, and then gives it to the disciples to hand out. They hand it out, everyone eats, and then they take up 12 basketfuls after everyone has eaten and is satisfied. One basketful for each disciple. Keep that in mind.